I don't know anybody who doesn't eat 'oliebollen' at New Years in the Netherlands! Traditionally, they are deepfried, but in 2016 one of the leading brands of supermarket baking products, Koopmans, introduced a ready-made mix for 'oviebollen', a.k.a oven-baked oliebollen. Sadly, their mix is not vegan, so I decided to try this method with a from-scratch recipe and the results were surprisingly tasty! Pour the water in a large mixing bowl and add the yeast, stirring to dissolve. Stir in the sugar, then mix in the flour and salt to form a batter. Stir in the raisins. Cover the bowl with a clean, moist cloth and leave to rise in a warm spot for 30-45min. Pre-heat the oven to 200°C (gas 4 / 190°C fan oven). Grease and dust a muffin pan, then use an ice cream scoop to divide the batter into the holes. Drizzle 1tsp oil over each hole and bake for 20min. Remove the 'oviebollen' from the pan immediately (be careful, hot!) and let them cool slightly on a wire rack. Serve the 'oviebollen' dusted with powdered sugar. These rhubarb crumble bars are absolutely yummy! Preheat oven to 175°C. Combine flour through salt in large bowl. Combine ingredients until the mixture resembles coarse crumbs.Reserve 1½ cups of the crumb mixture. Press the rest onto bottom of a greased square / rectangular baking pan (a brownie pan is perfect for this). Spread compote over crust. Sprinkle with reserved crumb mixture.Bake for 30 to 35 minutes or until golden brown. Cool completely before cutting into squares and serving. These chocolate truffles are delicious and super easy to make! De-seed the dates and put them in a food processor with the cocoa powder and rum flavouring. Process into a smooth paste (depending on how soft your dates are this can take anywhere from seconds to a couple of minutes). Once done, take a piece of the paste and roll it between your (wet) palms to make truffles. Roll them through some dessicated coconut and store in an air-tight container. Serve at room temperature. After my Aloo Palak spinach epiphany, I felt bold enough to branch out to other spinach recipes. I love dal, so it was a natural choice to try out a spinach dal recipe. I made some adjustments to the original recipe, so this is by no means authentic, but it's pretty darn yummy nonetheless. 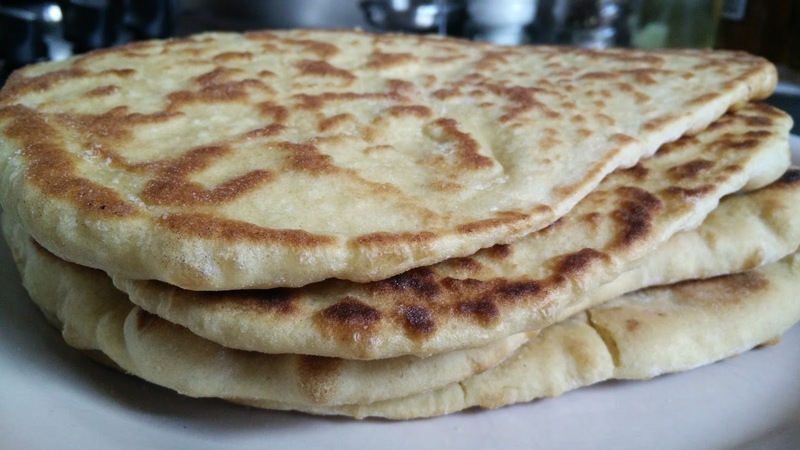 I recently also made my own naan for the first time, so I'm including that recipe here as well. Rinse the lentils and pick out any stones etc. In a large pot, heat the oil and add the cumin seeds and mustard seeds. Once they start to pop and give off scent, add onion, garlic and sambal oelek. Saute until onion is translucent, then add lentils and spinach. Add ca. 1l (2 pints) water and crumble in the stock cube, stir everything together and bring to a boil. Turn down heat and simmer the dal approx. 45 min, covered. The dal is done when you can easily crush the lentils. I like a thick dal, so I usually cook it uncovered for a bit to reduce the liquid. Using a spatula or masher, mash part of the the dal. Serve warm with rice, naan or roti. Tip: I like to make this dal in a stovetop pressure cooker. Saute the ingredients in the pressure cooker as described above. After adding the water, close the lid on your pressure cooker and bring to high pressure (2). Cook for 7-10 minutes, then use natural release. In a bowl, disolve the sugar in the warm water. Add the yeast and stir to disolve. Set aside for approx. 10 mins or until the mixture starts to froth and rise. In a large mixing bowl, stir together flour, baking powder, baking soda, garlic powder & coriander powder (if using). When the yeast mixture is foaming, add the warm milk and yogurt, stirring to combine. Pour the wet mixture into the dry mixture and combine with a spatula. When the ingredients are combined, finish mixing the dough with your hands to form a ball. Do not overknead. Cover the bowl with plastic wrap or a damp towel and leave to rise for an hour at a warm place. Divide the dough into 4 parts and roll each part into a thin oval on a floured surface. Thoroughly heat a skillet. Brush oil on both sides of the bread. Add one piece of bread to the pan and cook 1-2 min, covered. Bubbles should form on the bread. Flip the bread and cook another 1-2 min. Repeat with the rest of the naan. Serve warm. These naans freeze well too. 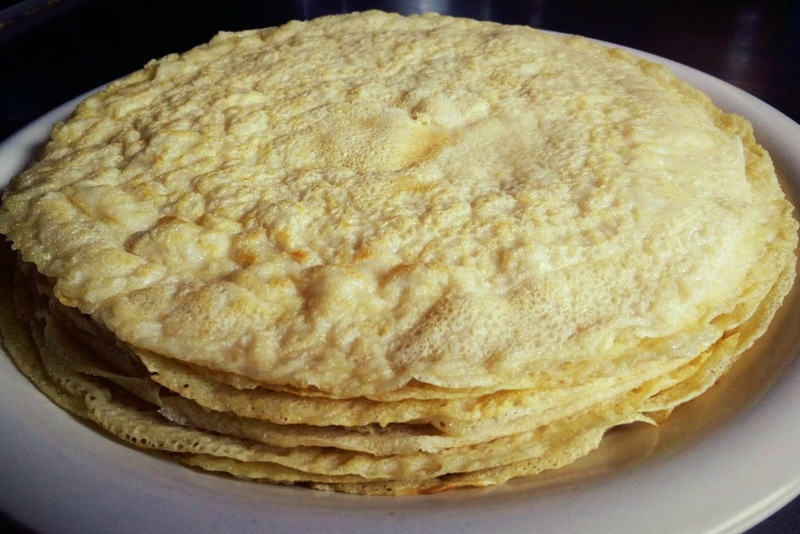 Dutch pancakes are different than American pancakes. In America, pancakes are thick, fluffy, smaller and generally eaten for breakfast. 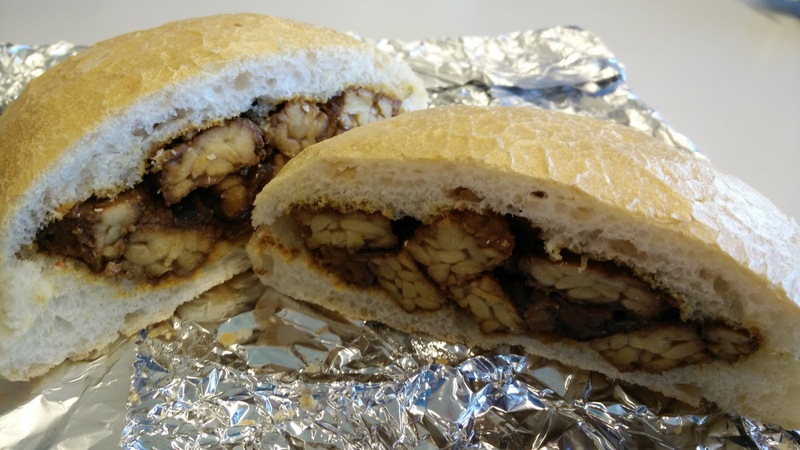 In the Netherlands they are larger, thinner and usually eaten for lunch or dinner. They can be served with sweet or savoury toppings and traditionally contain eggs. However, eggs are not necessary at all or can be easily substituted should you want to. In a large bowl, sift together flour and salt (if using), add the flaxseed mix (if using) and then gradually add milk while using a handmixer until the batter is the desired consistency (aim for a thin custard-like batter). Thoroughly heat a skillet and add some oil/margarine. Add a full ladle of batter to the skillet and swirl the pan to spread the batter. Flip the pancake once the top of the pancake is solid and the edges start to colour. Cook a few more minutes on the other side. Serve warm or cold with a topping of your choice. Very quick and tasty stirfry! Cook the noodles al dente in a pot. Drain and set aside. In a microwave-safe cup, mix together peanut butter, chili sauce, soy sauce, water and ginger (this will go easier if you heat the ingredients for a few seconds first). Set aside. Heat a drop of oil in a wok and add sambal and garlic. Add the mushrooms and stirfry a few minutes. Add the other vegetables and cook until done to your liking. Stir in the peanut sauce and cooked noodles until everthing is coated in sauce. Serve warm, with some roasted nuts or fried onions sprinkled on top. 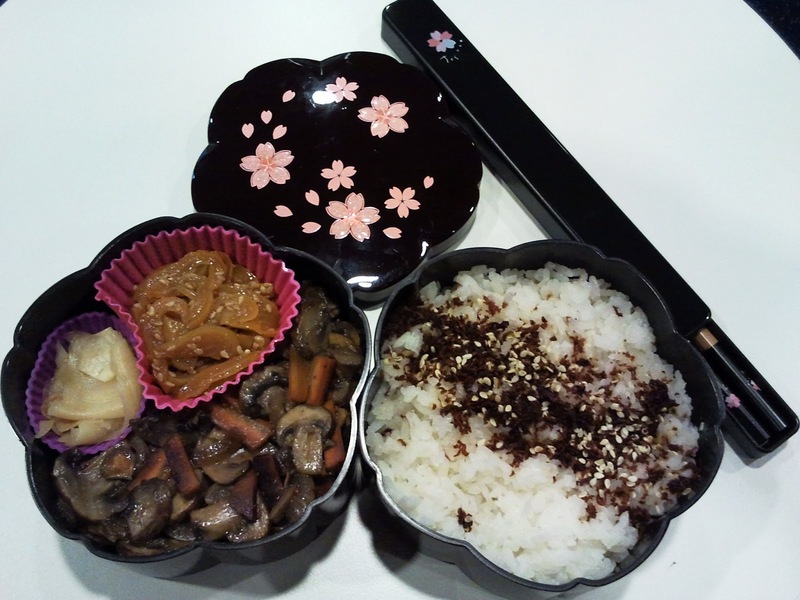 Cooking Japanese rice is an art in itself. It takes quite a bit of effort, especially the rinsing and soaking before cooking. Add the rice to a fine sieve and put the sieve into a bowl. Place the bowl in your sink, under the tap. Run the tab over the rice and gently rub the rice between your fingers. The water will turn white. Lift the sieve and discard the rinsing water. Repeat several times until the water remains clear. Drain the rice in the sieve for at least 15 minutes, but preferably 30 minutes. Set a kitchen timer for 12 minutes, bring the water to a boil and boil the rice over medium heat with the lid on. (or just switch on your rice cooker. Note that soaking is not necessary for some high-end rice cookers since it is included in the cooking time. Check the manual to make sure). Turn the heat off and let the rice steam for 10-20 minutes, then stir the rice with a rice paddle. Transfer the hot, cooked rice to a bowl. Mix 3 tbsp rice vinegar, 1 tbsp fine sugar and up to 1 tsp finely ground salt in a small cup. Add the vinegar mixture to the hot rice and rapidly stir the rice with a rice paddle, using a cutting motion. Let it slightly cool and prepare your sushi. Tip: freeze the rice in 1 cup portions. Use microwave-safe plastic wrap, tear off ca. 30 cm off the roll and scoop the - still warm - rice in the middle (the condensation will prevent the rice from drying out when reheating). Make a bundle of the plastic wrap and shape the rice into a flat ball. Freeze and store the rice balls in a large zip lock bag. 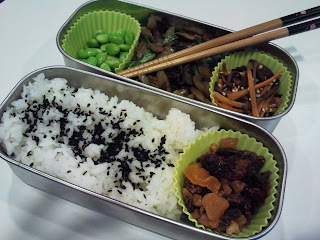 One cup of rice is enough for 1 large or 2 small sushi rolls or 2 onigiri or 3-4 inarizushi. Onigiri are rice balls made of salted rice, sometimes with a filling. They are often shaped into round disks or triangles. It's taken me the longest time to appreciate tempeh but I've finally found some recipes that I really like. The first two recipes are actually quite similar, with only a few ingredients that are different. The third works well to sooth the Babi Pangang (Indonesian sweet & sour pork) cravings I occasionally get. Cut the tempeh into small strips. Heat the oil in a wok and deep fry the strips in batches, until they are golden and crispy. Let the tempeh cool on kitchen towels to absorb excess oil. Discard most of the frying oil, leaving a little bit in the wok. Make a curry paste from the shallots, garlic and laos, using a pestle and mortar, blender or food processor. Heat the wok and saute the curry paste for 3 mins on a medium heat. Add the chilis and cook another minute. Add tamarind, sugar and salt and cook 3 mins on a low heat to let the sugar caramelize. Add the fried tempeh and stir to coat well. Be careful not to burn the sugar. Serve warm or cold with stir frys, roti & massala potatoes or on a hard roll with pickled cucumber. Sauté onion, garlic and chili (or sambal) for about 5 mins. Add tomato puree, ketjap manis, tamarind, curry powder and salt and stir to combine. Add fried tempeh and mix with the sauce. Add a splash of water to prevent from sticking to the pan and burning the sauce. Stew for a few minutes. Serve warm or cold with roti & massala potatoes or on a hard roll with pickled cucumber. Prepare a marinade of soy sauce, garlic and ginger. Cut the tempeh into thin strips, add to the marinade, making sure the tempeh is well coated and refrigerate for at least an hour. For the sauce, sauté the onion in some oil for 2-3 mins. Add water, chili flakes, sugar and the vinegar. Allow to boil for a few minutes, then add the tomato paste and flour, stirring continuously to prevent lumps forming. Add the tempeh with the marinade and continue to cook for a few minutes until the sauce thickens. Serve with atjar (Indonesian pickles) with boiled rice or nasi goreng. Instead of making the sauce from scratch, use a storebought jar of pangang sauce. Most granola available in stores contains honey (at least it does in my neck of the woods), so when my local supermarket decided to discontinue my preferred honey-free option, I thought: "Why not make my own granola?" This recipe is so easy that I wonder why I never tried it before! Preheat oven to 200°C. Prepare a baking sheet with baking parchment. In a bowl, mix oats, almonds and maple syrup. Spread mixture out thinly on the baking sheet and bake for 10-15mins until the oatmeal is lightly browned. 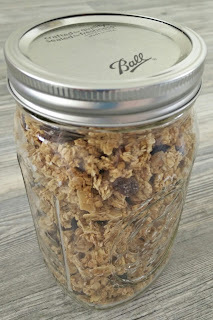 Let the granola cool completely (it will crisp up), crumble and mix in add-ins of choice (I used raisins and shredded coconut). Store in an airtight container. Enjoy with (non-dairy) yogurt for breakfast. Based on a Happy Herbivore Mealplan recipe. In the Netherlands, it is customary to eat a special raisin bread with almond paste filling for Easter and Christmas. This is a vegan version, and a friend of mine thought it was much better than the store-bought varieties! Mix raisins, curants and lemon zest in a bowl, add rum or water and soak, covered, for 2hrs until all liquid has been absorbed. (Prepare the almond paste if making from scratch, see recipe below). Melt the margarine and mix in milk, sugar and yoghurt. Let it cool to approx. body temperature, then stir in the yeast. In a large bowl, stir together flour and salt, then make a dip in the centre. Mix in the milk mixture and knead for approx. 10 mins. until the dough is soft and elastic. Add a bit of flour if the dough is too sticky. Shape the dough into a ball, brush a bit of oil on top and let it rise, covered, for 1 - 1,5 hrs. at a warm spot. Knead the dough, then flatten in on your work surface. Sprinkle the soaked fruit on top, then fold over the dough and gently knead it until well-mixed. Shape the dough into an 20cmx30cm (8"x12")oval. Knead the almond paste and shape it into a 30cm (12") roll. Put it on top of the dough, then fold over the dough so the almond paste is sealed inside. Let the loaf rest and rise for another hour. Preheat the oven to 180°C (circulation oven: 170°C). Brush a bit of milk on top of the loaf and sprinkle on some flaked almonds, if desired. Bake the loaf for 30-35 mins. until golden brown. Once the loaf has cooled, sift some icing sugar over the top. Cut into slices and serve with margarine and sugar. This bread freezes quite well. Instead of 1 large loaf, consider making 4 smaller ones (each is enough to generously serve 2 people) and freezing the leftover loaves. Put the icing sugar on top after defrosting the loaves. Mix all ingredients into a thick paste. Store at a cool place until ready to use. I´ve never been particularly fond of spinach, because, let´s face it, it doesn´t really look that appetizing when cooked into oblivion. 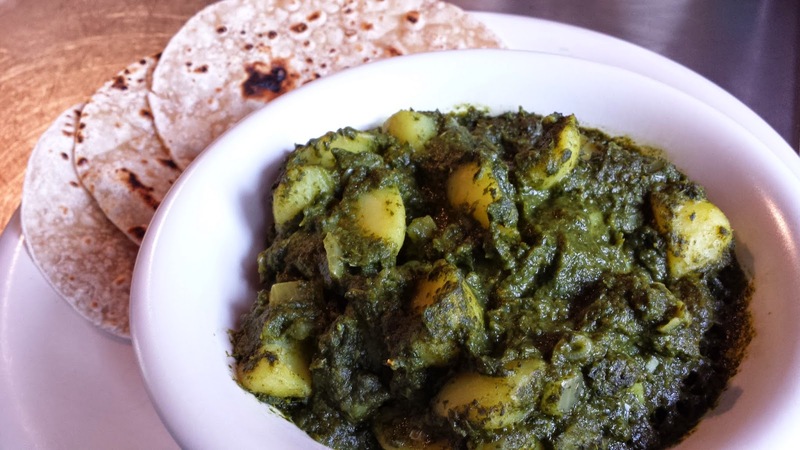 As a matter of fact, Aloo Palak doesn´t look that appetizing either, but I´ve become a bit more daring in recent years so I decided to sample a bite when my mother ordered it in an Indian restaurant a couple of months ago. Turns out spinach doesn´t taste like spinach when you pair it with plenty of spices, and anything potato is always good news! Put the thawed spinach with water and pinch of salt in a blender (the Magic Bullet is ideal for this) and blend smooth. Heat the oil in a pan and fry the potatoes until they are slightly browned. Add the onions, ginger and garlic, and sauté until the onions are translucent. Add the spices and sauté for a minute (add a splash of water if the spices stick). Pour in spinach and mix well with the spices and potatoes. Cover and simmer 7 minutes. Turn off heat and allow to sit 2-3 minutes. Stir in the cream. Turn heat to medium/low. Cook uncovered 5 minutes or until sauce thickens. Serve with rice, roti and/or chapatis. On a recent trip to Japan I went on a major bento shopping spree, and also managed to get my hands on several hard to find (outside Japan, anyway) sandwich bento boxes. This bento proves that you don't need any cutesy, expensive bento boxes to make a bento lunch: it is a 'regular' sandwich lunch box, that, due to its size, is perfect to carry a salad for lunch. Add all ingredients except oil and seasoning in a blender. Switch on the blender and slowly pour in the olive oil until all ingredients are liquidized and you have a smooth pesto sauce (you may need a bit less or more to achieve the desired consistency). Add seasoning to taste and pulse once more to blend well. 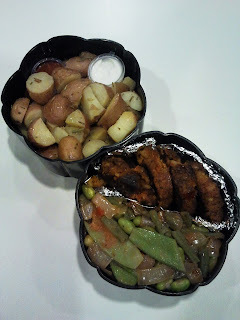 When making dinner the night before, I saved some potatoes and nuggets to use for this bento. For this 2nd bento, I used leftovers from the 1st bento, and added some extras as well. 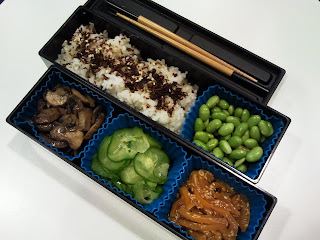 My recent bentos have also been more Japanese-inspired than before, and a big help in this regard have been Makiko Itoh´s Just Bento Cookbook as well as her recipe sites Just Bento and Just Hungry. Store-bought vegan mayo is handy but relatively expensive. It is actually very easy to make your own vegan mayo! I tried this recipe the other day and was pleased with the results. Add all the ingredients to a tall mixing jar. Use a immersion blender to mix all the ingredients. Make sure that all ingredients are well incorporated, but don´t overmix. Transfer the mayo into a sealable container and store in the fridge for approx. 1 week. - An empty peanut butter jar works perfectly to store the mayo! - Since this mayo keeps for approx. 1 week in the fridge, consider halving the quantities for about 1/2 a jar of mayo. - It´s better not to substite the soy milk with other non-dairy milks such as oatmilk or rice milk: the lower fat content will not create the desired consistency. - To prevent having to throw away the rest of a carton of soy milk, consider buying small juicebox-size cartons. - Don´t have agave syrup on hand? You could also use regular sugar. - Use the mayo as a base for other sauces such as cocktail sauce (omit the agave syrup, add ketchup), aioli (add garlic), remoulade/tartar sauce (add chopped capers, finely chopped cornichons and mixed herbs), etc. - One of my favourite indulgences: fries with peanut sauce and mayo! Recipe by EVA. Watch a how-to video (in Dutch) here. Heat the oil in a skillet and saute the onion and garlic until the onion is translucent. Add the mushrooms and paprika and cook for a couple of minutes until the mushrooms start to colour. Stir in the flour and cook for 1 minute. Add the broth slowly while constantly stirring. Add the cream, bring the sauce to the boil and season with salt, pepper and herbs. Cook for a few more minutes (reduce the sauce a bit if necessary) and serve over pasta. Peanut or satay sauce is originally from the East Indies. Most storebought varieties contain regular milk/lactose. You can easily make your own vegan version. Put all the ingredients in a microwave-safe bowl, cover and heat at `high´ for 1 minute. Stir to combine the ingredients and heat again for about 1 minute. Stir again until the sauce is smooth. Repeat if needed. If the sauce is too thick for your liking, add a bit more liquid. Season with salt & pepper if necessary. 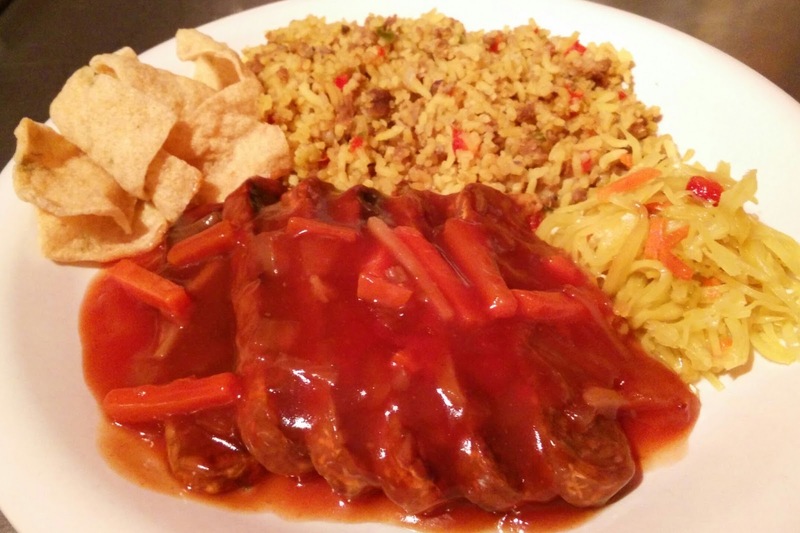 Tastes great when served with kebabs / satay, french fries, bread (to dip), nasi goreng etc etc. Traditional appetizer for Christmas brunch or dinner, but very tasty any time of year. Make your own ragout from cupboard ingredients and the possibilities are endless! Heat a bit of oil in a skillet. Saute the garlic and sambal oelek for a few minutes. Add the mushrooms and cook until the mushrooms are browned. In a saucepan, melt the margarine at a low heat, making sure it doesn´t brown. Once it is melted, stir in the flour, about a tablespoon at a time until well incorporated. Cook the sauce on a low heat for a few minutes, stirring continuously. Add a bit of stock to the mixture, stirring well to incorporate the liquid. Add more stock once all the liquid has been incorporated. Continue adding stock until the sauce has the desired consistency. Stir in the sauteed mushrooms and parsley, and season to taste with salt, pepper and curry powder (note: be conservative with adding extra salt since the stock already contained salt). Heat the pastry cases in an oven according to the directions on the box (approx. 10-15 minutes at 150°C). Spoon in the mushroom sauce and serve immediately. A satisfying and filling vegan dish. Cook the quinoa, 240ml water and the stock cube in a rice cooker (or boil approx. 20 minutes in a pot on the stove). Grease an oven dish with some oil and preheat the oven at 180°C. Remove the stems from the mushrooms, chop the stems and set aside. With a spoon, remove the gills from the mushrooms and add them to the chopped stems. Drizzle a bit of oil on the mushrooms and place them cap-side down in the oven dish. Cook the empty mushrooms approx. 15 mins in the oven. Meanwhile, heat some oil in a wok. Saute the garlic and sambal. Add the leftover mushroom stems and gills, leek and peppers. After a few minutes, add the peas and tomatoes. Stir fry until all the vegetables are cooked and season with salt and pepper. Stir in the pine nuts and cooked quinoa. Remove the oven dish from the oven en spoon the quinoa mixture into the caps. Cover the oven dish with aluminium foil and cook the mushrooms for approx. 15 minutes. Remove the aluminium foil 5 minutes before the end. Serve immediately. Loosely based on this recipe. This is the first vegan cupcake recipe I tried to make, and it came out wonderful. My non-vegan colleagues loved it too. The recipe is from an American cookbook, so the quantities are in US cups. Preheat the oven to 350F (180C) and line a muffin tin with cupcake liners. Mix together sugar, vegetable oil, yoghurt and vanilla in a mixing bowl. Sift in the dry ingredients (flour, baking soda, baking powder, salt, spices) and mix until smooth. Fold in carrots, raisins and walnuts. Spray the liners with non-stick baking spray and fill them 2/3rds full. Bake for 26-28 mins (a toothpick should come out clean when they are done). Let the cupcakes cool completely. Meanwhile, make the frosting: cream together margarine and cream cheese until just combined. Use a handheld mixer to whip while adding the confectioner´s sugar in 1/2 cup batches. Mix until smooth and creamy, then mix in the vanilla. Keep tightly covered and refrigerated until ready to use. Once the cupcakes have cooled and are ready to serve, top them generously with the frosting. Put the chopped walnuts on a plate and roll the edges of the cupcakes in them. Put 1 raisin in the center, or sprinkle with grated carrot (if serving immediately). Don´t like walnuts? I left them out and the cupcakes still came out yummy, though maybe a bit smaller than usual. Recipe from `Vegan Cupcakes Take Over The World´. I like baking - it´s no coincidence that the ´baked goods´-section is one of the more extensive sections on this blog. - does a recipe call for flour and baking powder but you don´t have either (or both) on hand? If you have self-raising flour in your pantry, you´re good to go. Substitute the quantity of flour with the same quantity in self-raising flour and omit the baking powder (as the self-raising flour already contains a rising agent - hence the name). I do this all the time and everything tastes great. 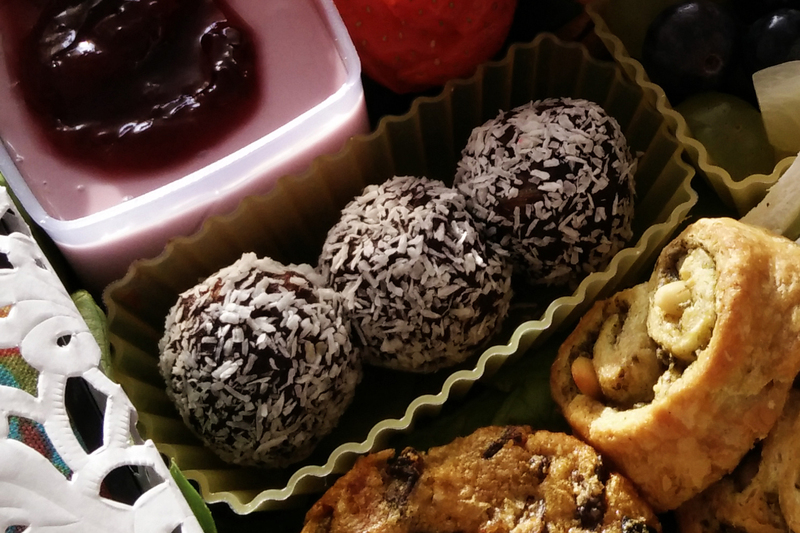 - do you have a receipe for a cake or loaf, but you´re feeling more like making bite-size portions? No problem. Most recipes for a single loaf or cake will make approx. 12 (generous) muffins or cupcakes. A rule of thumb is to halve the baking time. However, it´s better to err on the side of caution and reduce the baking time a bit more. Use a skewer to test whether they are done and, if necessary, bake for a few more minutes. 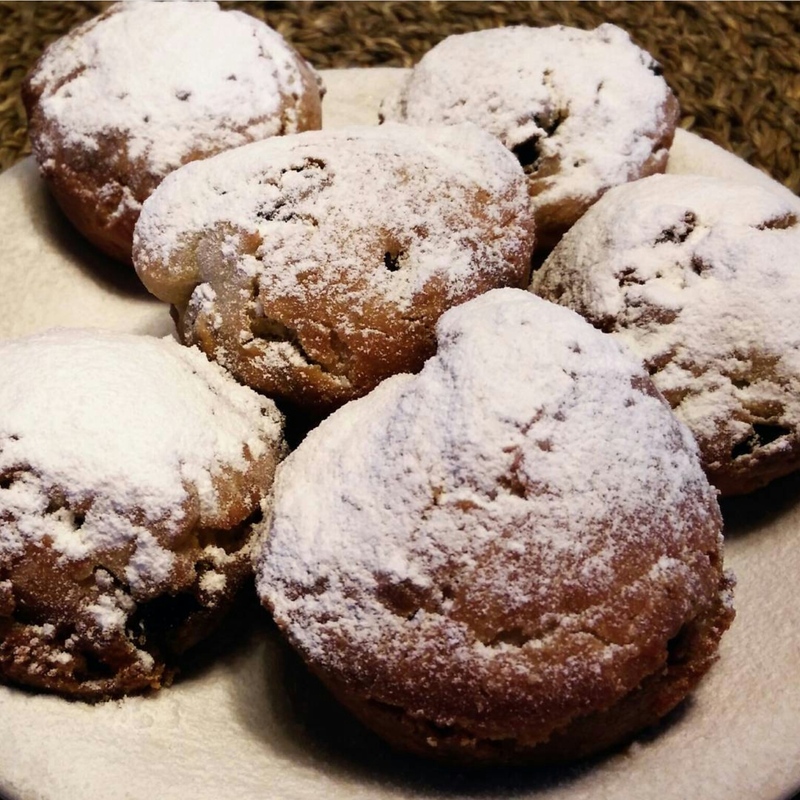 - to make equal-sized muffins or cupcakes, use a regular icecream scoop for the batter. Much less messy than fiddling with spoons! There are also smaller sized cookie dough scoops that are perfect for dividing batter for mini muffins or, of course, cookie dough. The smallest size (approx. 1¨ diameter) is also ideal for making small meatballs or falafel! - most recipes will state the temperatures for different types of ovens on which to bake your cake, pie or loaf. When using a circulation oven instead of a convection oven, the rule of thumb is to reduce the temperature by 10%. - some (more economical) brands of spices come in closed metal tins with only an opening to sprinkle from. It can be a bit hard to get larger quantities from the can, even when using the largest opening. Using a can opener, remove the bottom of the can to easily scoop out the required quantity and store the rest in a spare container. Inspired by the chefs at work, I made my own couscous salad the other day. Thumbs up! In a bowl, pour the stock on the couscous. Cover the bowl with some tin foil and let it rest a few minutes until all the liquid has disappeared. Stir with a fork to loosen. Meanwhile, heat some oil in a pan and sauté the onion, garlic and chili paste until onion has sofetened. Add bell pepper, courgette and mushrooms cook for a few minutes. Add the spices, parsley, salt and pepper to taste and stir until everything is well-combined and spices are starting to give off scent. Add mixture to the couscous and allow to cool. Stir in chopped tomato. Another staple at get-togethers are these tarts that a friend of mine always brings. Pre-heat the oven at 200C. Finely dice the cheese and ham. Divide each square of pastry into 4 pieces. Line the holes of 2 muffin tins with a piece of pastry, flour-side down. Beat the eggs with whipping cream and flour. Divide the mixture over the 24 tarts. Add a bit of the diced cheese and ham to each tart and season with oregano, salt and pepper. Bake the tarts for about 15 mins. until golden and serve warm (or cool and re-heat in the oven before serving if making in advance). Pesto pinwheels are the signature dish that a friend of mine always brings to get-togethers. They're very tasty! Prepare the bread dough according to the instructions on the box. Leave it to rise for approx. 10 mins. Roll out the dough thinly but make sure it is at least 30cm wide. Spread the pesto onto the dough using the round side of a spoon. Liberally sprinkle with grated cheese (and pine nuts / chopped nuts if using). Loosely roll up the dough and cut the roll into 3cm wide slices. Put the slices on a baking tray, making sure they're not too close together as the dough will expand. Bake the slices for max. 20 mins in the heated oven (they are supposed to stay a bit pale!). The pinwheels are best served when they are still a bit warm. 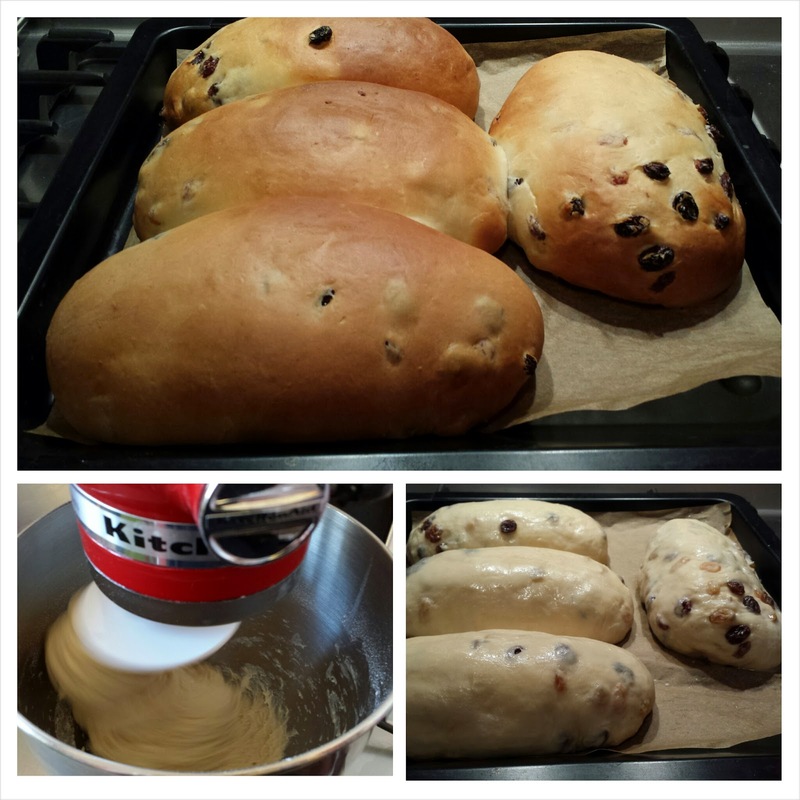 - don't want to bother with making fresh bread dough? 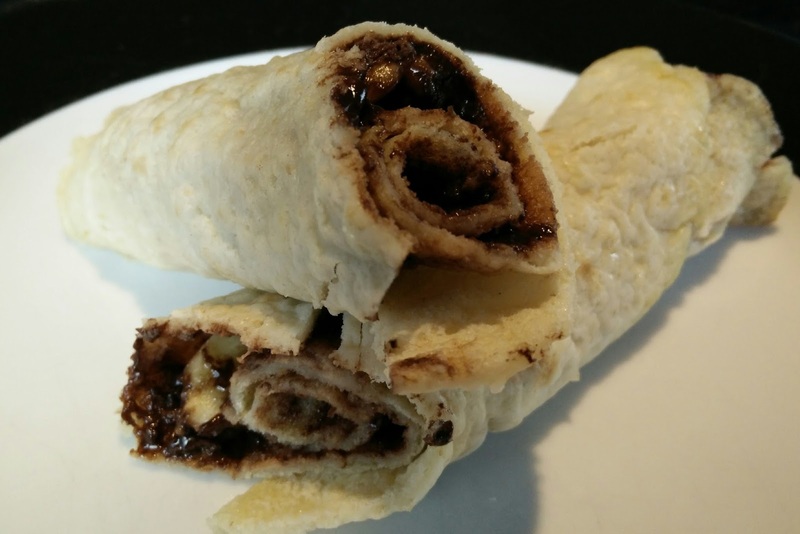 Use (vegan) canned crescent roll dough! Divide the rolled-out dough in half for 2 rolls, and you can also choose to make the slices a bit smaller (1-2 cm wide). Bake according to the instructions on the package. - use red pesto or tapenade instead of green pesto. - you can easily prepare the rolls in advance and slice and bake when needed. Another Hummingbird Bakery recipe that was a big hit among my friends! Pre-heat the oven to 170C and line a square cake tin with baking parchment. Mix together the carrots, root ginger, buttermilk, eggs, vanilla essence, vegetable oil and sugar in a mixer until all the ingredients are well-combined. Sift together the flour, baking powder, bicarbonate of soda, salt and spices, then slowly beat into the carrot mixture. Stir in the chopped pecans, if using, and mix the cake batter until it's smooth and even. Pour the batter in the cake tin and bake for approx. 30 mins. Meanwhile, beat the icing sugar and butter together using an electric whisk or freestanding mixer on medium-slow speed until the mixture comes together and is well-mixed. Add the cream cheese in one go and beat until it is completely incorporated. Turn the mixer up to medium-high speed and continue beating for at least 5 mins. until the mixture is light and fluffy. (Do not overbeat as the frosting can become runny). After the cake has completely cooled, cover the top with frosting. Cut the cake into 12 squares and serve. - the cake recipe is from 'Cake Days', the cream cheese frosting recipe is from 'The Hummingbird Bakery Cookbook' (both books are listed in the sidebar on the right!). I halved the quantities of the original recipes to make a square 24cmx24cm cake. It's unbelievable how many cheesecake recipes are out there. I won't claim this one is the best, but it sure is pretty darn good ;-) I got it from a colleague, who even translated it for me from Spanish. Beat together 120g butter, egg and sugar in a bowl until the mixture is smooth. Add milk, ricotta, mascarpone and flour and stir until there are no lumps left. Add grated lemon peel and/or fresh vanilla seeds if desired. Grease a springform pan. Melt 50g butter in a pan and stir in the biscuit crumbs and brown sugar, until the mixture forms a ball and all butter has been absorbed. Flatten the ball in the springform pan for the cheesecake base. Pour in the cheese mixture and bake for approx. 45 mins at 180C (a toothpick should come out clean when done). Once cooled, spread strawberry jam or melted chocolate on top, or serve as is. - add cocoa powder to the cheese mixture for a chocolate cheesecake. You could also use chocolate biscuits for the base. - use candy biscuits (such as Bastogne) for the base. I'm a Picky Eater. Always have been, probably always will be. Maybe not as picky as some, but definitely more picky than others. Over the years I've become a bit more adventurous and open to trying new things. So parents of Picky Eaters: don't despair, there is hope yet! :-). In November 2012 I adopted a plantbased diet, and let me tell you - that´s quite a challenge being a Picky Eater! As a result, there will be more vegan or `veganized´ recipes available on this blog over time (FYI: both will be labeled under `vegan(ized)´). This blog is a collection of my favourite recipes and serves as my own digital cookbook. However, if you want to try them out, be my guest! Let me know what you thought and leave a comment - I'd love to hear from you!